LT McGuinness employs over 200 full-time staff. We care about our employees and turnover is low. Most have worked for the company for at least 10 years, and many for well over 20 years. We deliver quality construction work using our own workforce. We also employ more than 12 apprentices at any one time. Our commitment to ongoing staff training is passed on to our clients through the everyday delivery of quality service. Our managers have deep and varied industry experience. With qualified engineers, quantity surveyors and experienced tradesmen in our management ranks, we bring a wide mix of skills to every job. Our subcontractors are carefully selected and managed. Selection is based on experience, company culture and capacity, not just price. 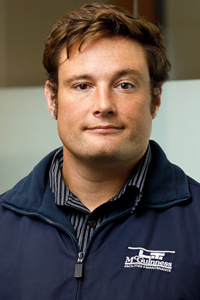 A qualified civil engineer, Peter has unmatched experience in bringing projects to successful completion. 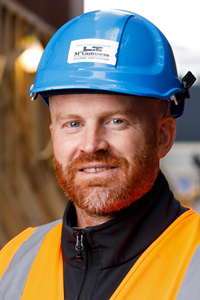 He has developed LT McGuinness’s construction methodologies and health and safety systems, but above all he sets the company’s benchmark in construction. With an eye to quality assurance, Peter personally makes sure projects are up to standard before delivery to the client. 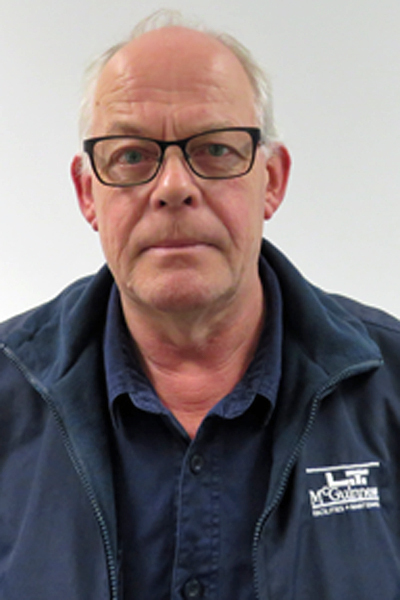 Brian sets the strategic targets and ensures the LT McGuinness culture is maintained so that clients’ and consultants’ expectations are achieved. 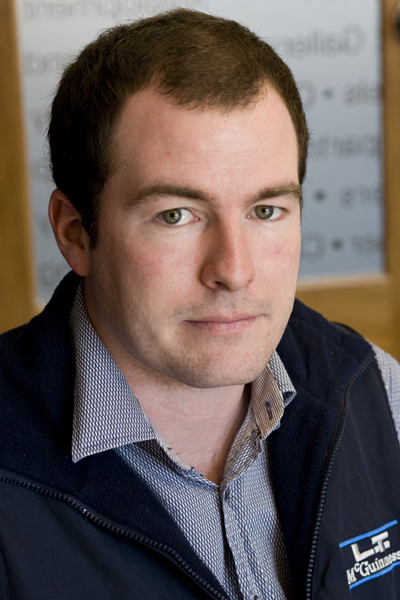 He has an indepth knowledge of tender negotiations and a special expertise in heritage buildings. 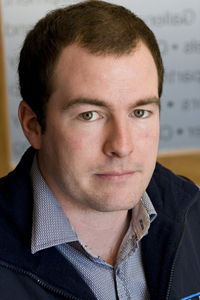 A senior company member, John is a qualified quantity surveyor who has managed many of the company’s largest projects. 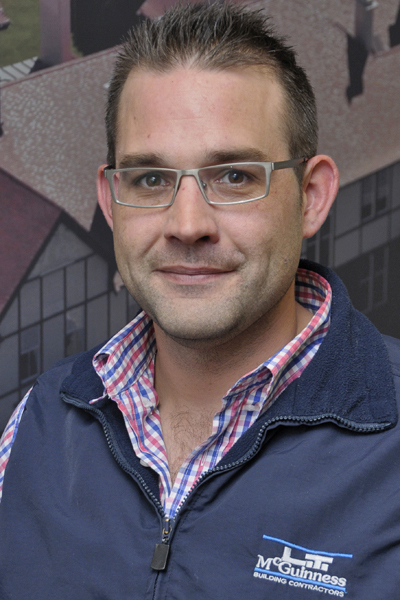 He has a wealth of experience in the restoration and refurbishment of heritage buildings and offers solid advice on detailing, waterproofing and value engineering. 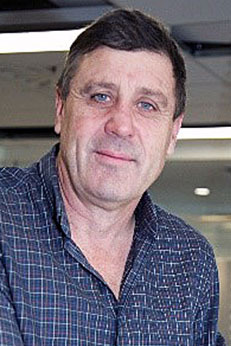 John managed both the Premier House project and the Government House project, 'completing the double' by leading two of New Zealand’s most significant restorations. John's recent projects include managing the Clyde Quay Wharf Redevelopment project based on Wellingtons existing overseas passenger terminal. 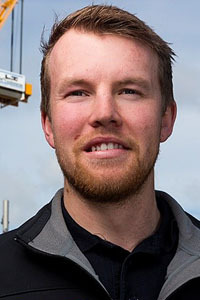 Dan is a qualified quantity surveyor with a Bachelor of Construction degree from Massey University. He was the Site Manager on major projects such as Transpower House, Chews Lane and the Odlins Building redevelopment. 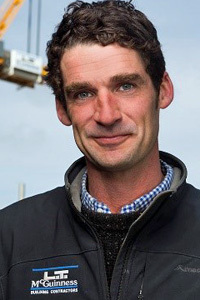 With a New Zealand Certificate in Engineering behind him, Kerrin has significant experience in managing medium to large-scale jobs such as Semple House in Oriental Bay and Transpower House. 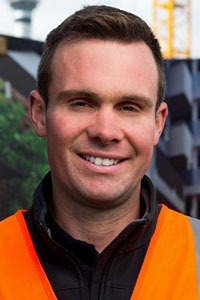 He was the lead Site Manager in both the $100 million Chews Lane refurbishment project and also the recently completed Clyde Quay Wharf Redevelopment. 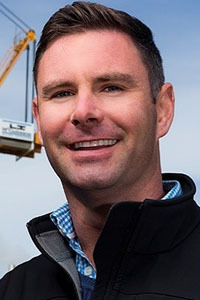 Sean has extensive experience managing medium to large-scale construction projects such as the Shelly BMW redevelopment, the Chews Lane development and Semple House in Oriental Bay. One of his most notable recent projects includes managing the construction of the Clyde Quay under-wharf Car park. This was a huge feat that required casting 90 ton slabs above the level of high tide. Once cured, these were then lowered into position using synchronized hydraulic jacks. Numerous challenges were presented along the way but with the assistance of a strong team around him, Sean was able to successfully deliver the car park to the clients expectations. 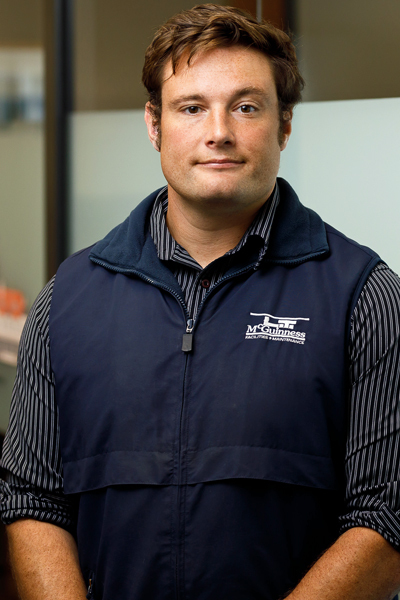 Since joining us Aaron has been an integral part of the team who have established our Auckland office and projects. 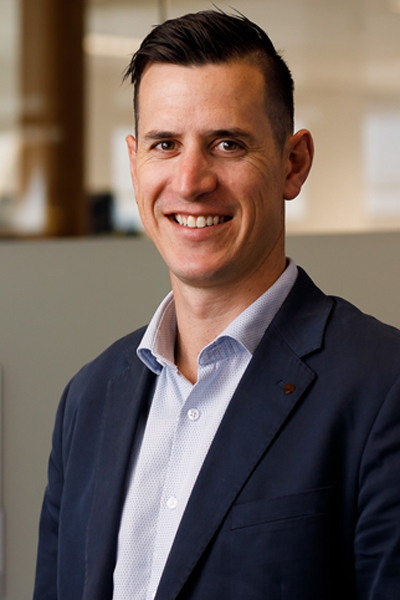 He holds a Diploma in Civil Engineering and has 17 years’ experience in the delivery of large-scale commercial construction projects in the Auckland region. 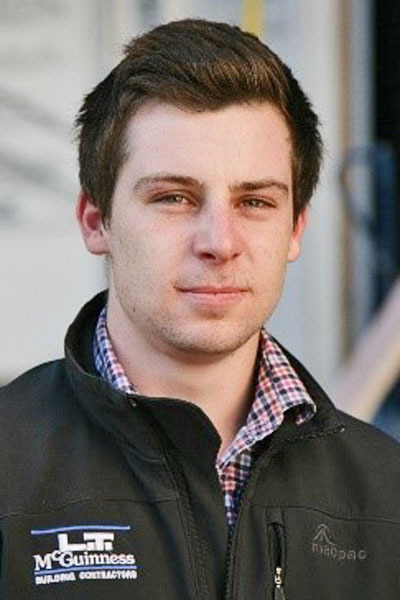 Driven and focussed, Aaron’s industry and local knowledge is invaluable. 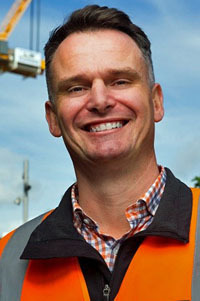 He is currently managing the Wynyard East project. Aaron, a qualified carpenter and quantity surveyor, managed financial aspects of projects such as Government House and led the successful strengthening of 15-floor Grant Thornton House. 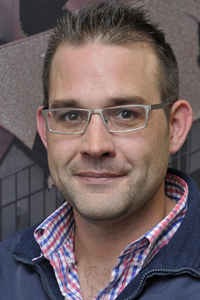 Aaron is now overseeing the State Insurance and Home of Compassion refurbishments. 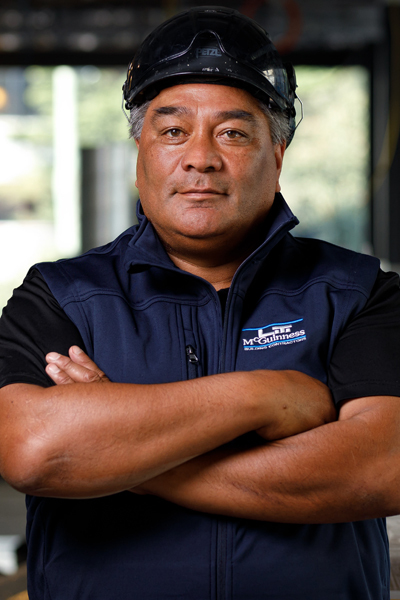 He is also our key relationship contact with W2 Shared Services, a 10-year property partnership with WelTec and Whitireia to develop the Te Auaha Centre. 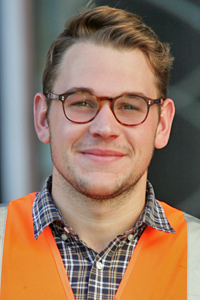 After working with us over successive summers from 2008, Adam joined the permanent staff in July 2013. 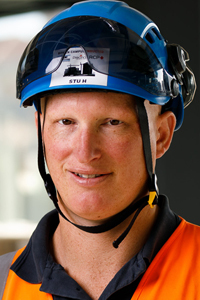 He holds a Bachelor of Building Science, specialising in project management. 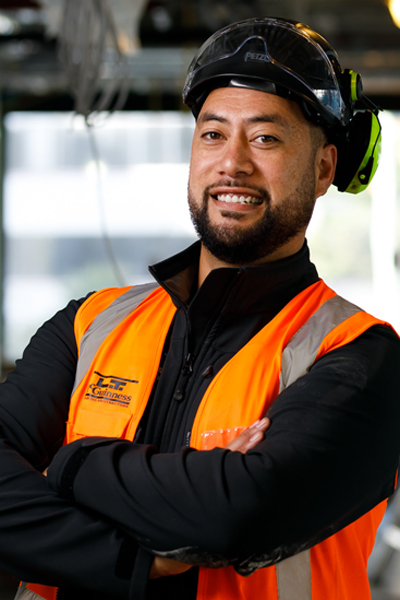 He has worked on construction and post-contract work at One Market Lane, the Trade Me fit-out, the base build and fit-out of the Queens Wharf southern retail alterations and the 157 Lambton Quay seismic upgrade. He is currently working on the base build and fit-out of 44 The Terrace. Adam joined us from the UK to begin work on the Bowen campus project. 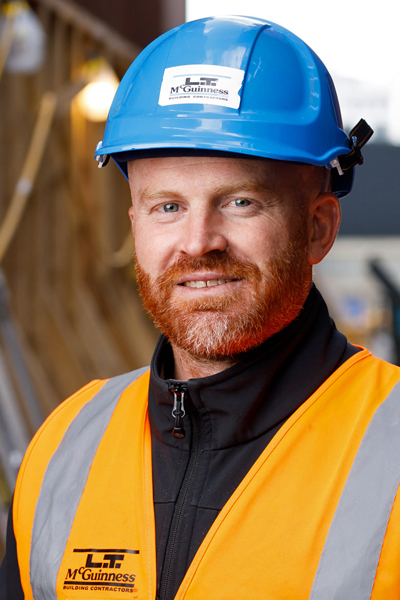 A qualified electrician with 11 years at management level, Adam had worked across England on a number of challenging commercial, educational and healthcare projects. 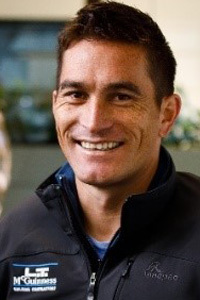 He brings a wealth of experience to our company, and Adam and his family have settled well into New Zealand. 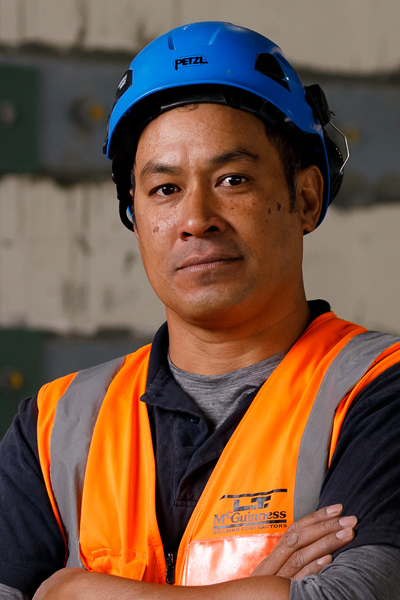 An experienced and thorough site manager, Amby has worked on the NZX Building, Te Auaha Cuba-Dixon, and 44 The Terrace, applying his specialist skills in concrete, facades, fitouts, roofing, and structural and strengthening works. He’s now at St Patrick’s College and Viard House. 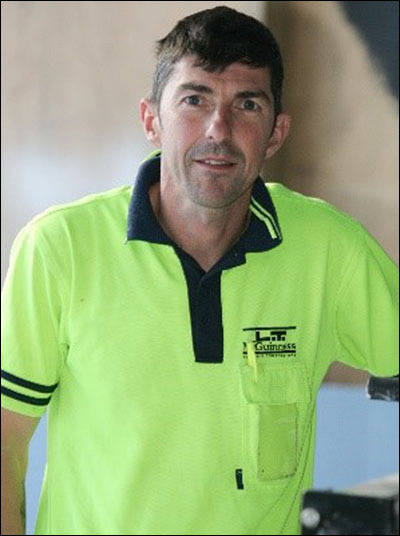 Calm and hardworking, Amby has a National Certificate in Carpentry and a knack for getting on well with consultants, clients and subcontractors. 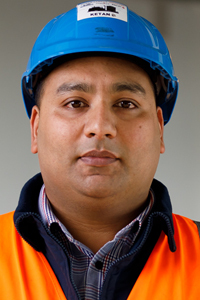 Ammaar is currently Services Manager at PwC Site 10, having earlier worked on Project 56, TopShop, and seismic upgrade and asbestos removal at the Ministry of Primary Industries on The Terrace. 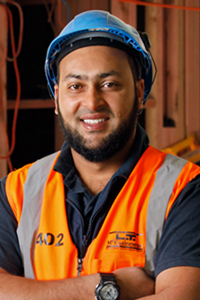 Well organised with an indepth knowledge of construction processes, Ammaar has an HVAC apprenticeship and a National Diploma in QS. He can always be relied on to put plans into action and has great relationship skills. 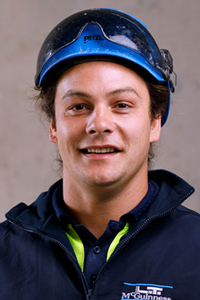 Ben holds a Bachelor of Design degree and a National Certificate in Carpentry. Early jobs with us included seismic strengthening and the Charlie Noble restaurant in the Huddart Parker Building. 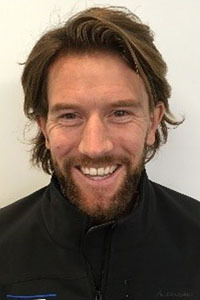 Ben is a good ‘people person’ with a calm and unflustered style who has worked on various Victoria University jobs and is now at the Bowen campus. 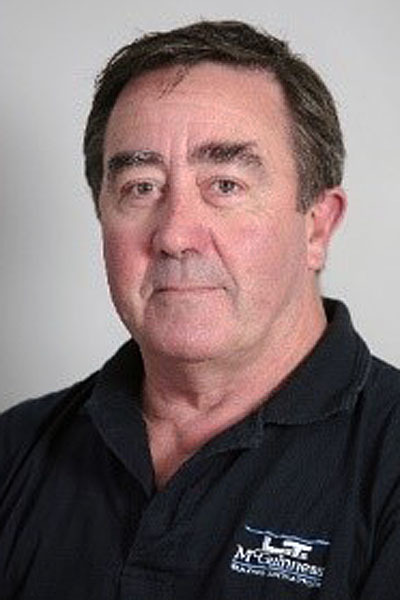 With over 40 years’ construction industry experience behind him, Bill has managed many of our commercial projects, including major apartment jobs. 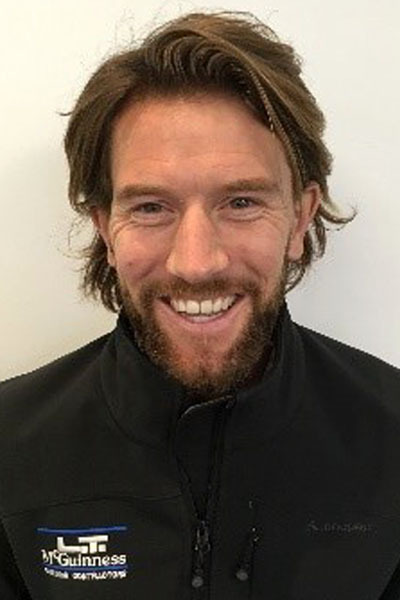 He applied his health and safety expertise to the Cuba Dixon project and the St Pat’s College refurbishment where he is currently site manager. 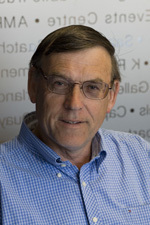 Bill is a great mentor to younger staff and oversees our apprenticeship programme. 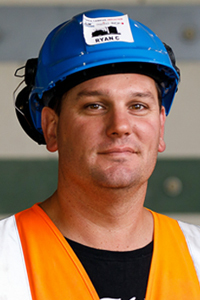 Blake is a qualified carpenter and joiner who also holds advanced trade certification. 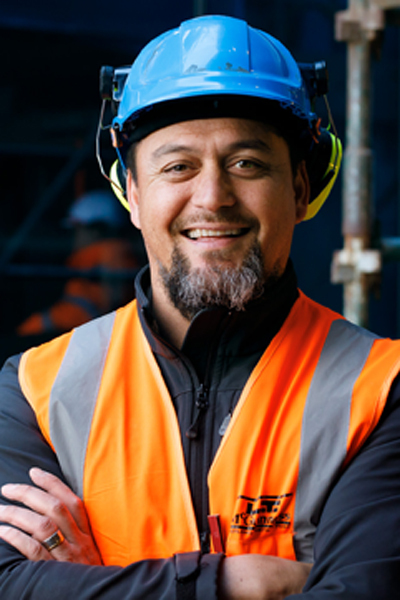 He has brought a range of people management skills and structural knowledge to building projects such as Government House in Wellington. Blake is now working on the Wynyard Central apartment development in Auckland. 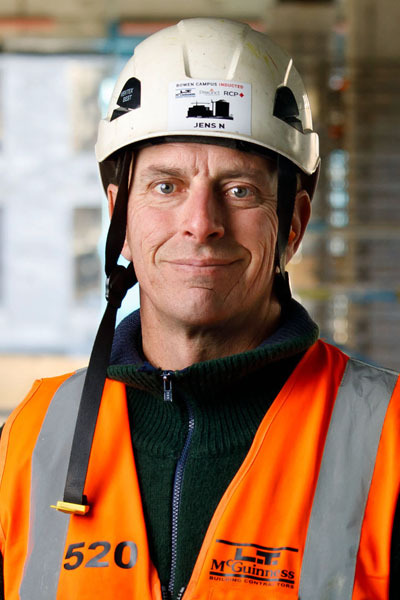 Bob has brought a wealth of construction industry experience to jobs such as the ANZ tower redevelopment on Featherston Street, the Aurora Centre fit-out for MSD, Xero’s head office, Infratil’s headquarters, the Harbour City Centre, Contact Energy and VUW’s Faculty of Architecture and Design. 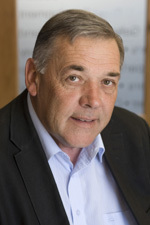 Bob is well known for building a great rapport with clients and consultants. 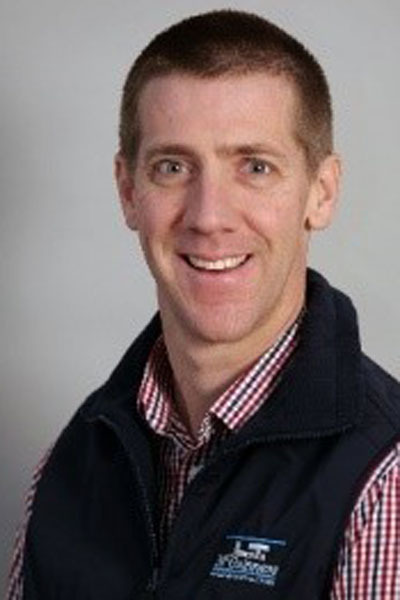 Bruce is a qualified quantity surveyor (MNZIQS, NZCQS) with over 15 years’ experience in New Zealand and Australia. 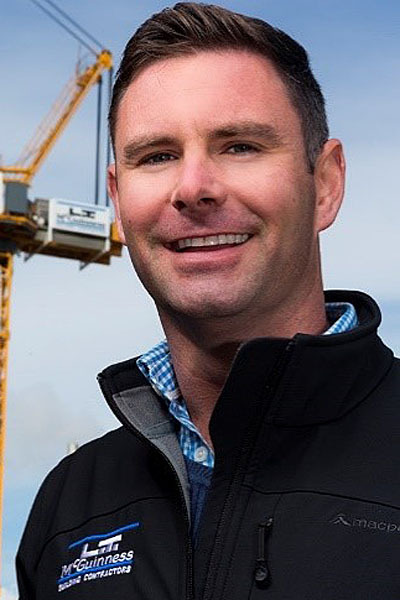 Before joining us Bruce was responsible for the commercial delivery of a number of large construction projects in the Auckland region. 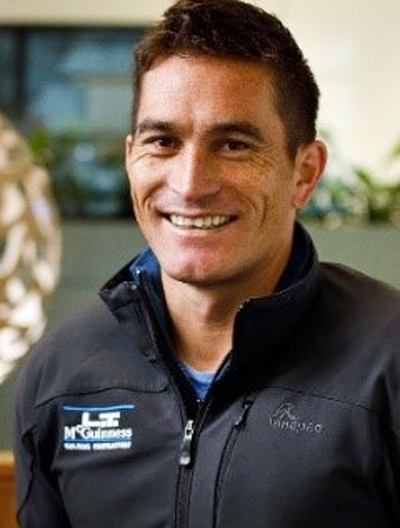 He is a member of the senior LT McGuinness team who are establishing our presence in the Auckland market. 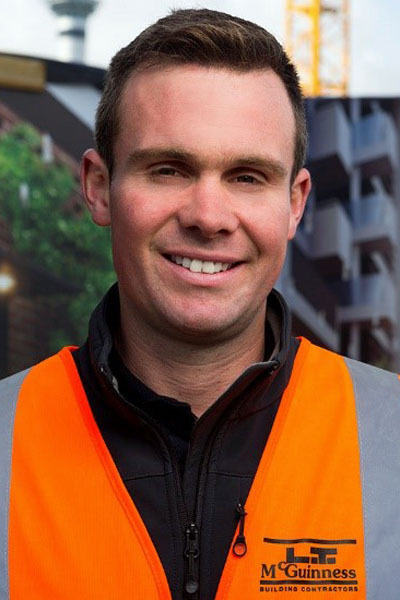 Since joining us in 2009 when the Chews Lane project was in full swing, Bryce has worked on a number of high-profile jobs across the city. 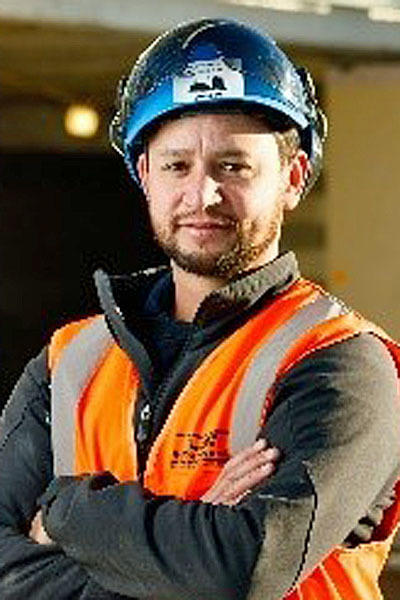 As a qualified carpenter, former crane dogman and Site Traffic Management Supervisor who has extensive on-the-job experience with us, Bryce has all the credentials for his health and safety role. He is now at PwC Centre. 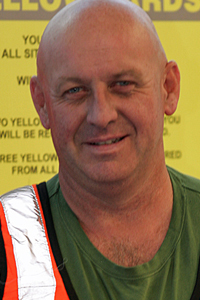 Chris’s current health and safety role on the Bowen Campus draws on nearly 20 years in the construction industry. 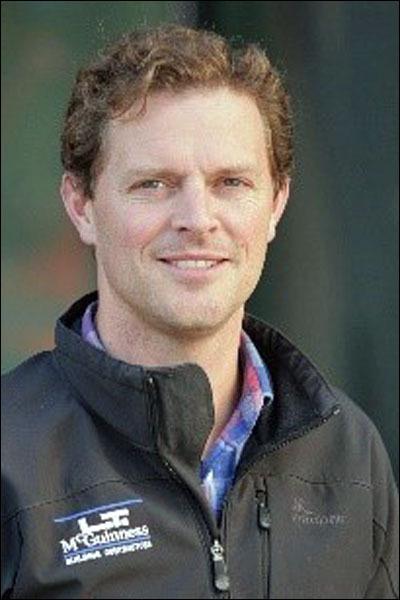 He began his career as a carpenter before becoming a site manager, and has a National Certificate in Carpentry. 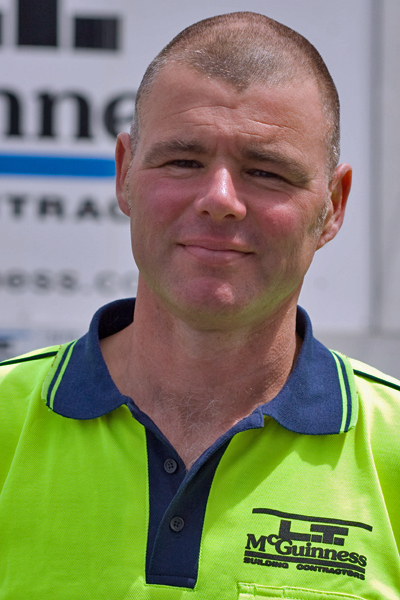 Chris gained a wealth of experience, particularly in modular buildings, while working in Australia. Approachable and easy to deal with, he takes a hands-on approach to his work. 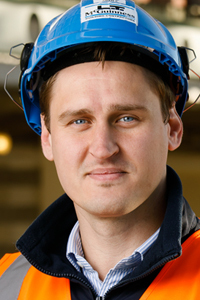 Health and safety is a fundamental business objective for us and Chris holds a senior position within the company. He has an extensive background in health and safety and keeps everyone up to speed with legislative changes. 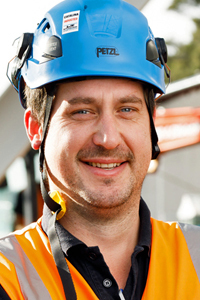 Chris emphasises good records and documentation and his efforts are one reason we maintain a tertiary rating from ACC, the highest health and safety rating available in the construction industry. Chris has successfully managed prestigious projects across the company, from re-strengthening of the Huddart Parker Building to overseeing the finishing of the Clyde Quay Wharf apartments. 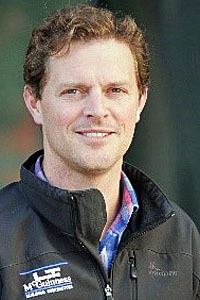 He played a key role in the Aurora Centre development and TopShop fit-out. 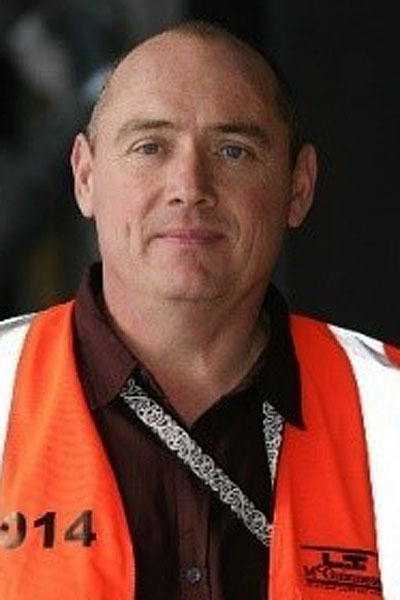 Chris is very knowledgeable on heavy construction and is now applying his expertise to assist our Auckland team. He’s a natural at getting on with people and enjoys excellent relationships with clients and customers. 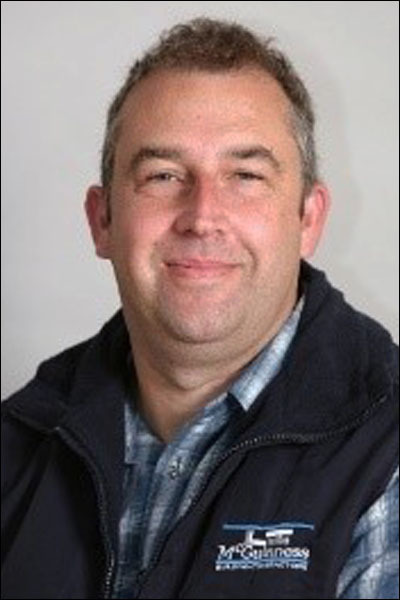 Chris is a qualified joiner and an interior fit-out specialist who has transferred those finishing skills to the management of complex structural projects. He was instrumental in the Clyde Quay Wharf project and St Mary of the Angels’ re-strengthening. 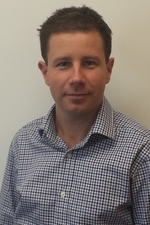 Having relocated to Auckland in 2015, Chris is now part of our Wynyard Central team. 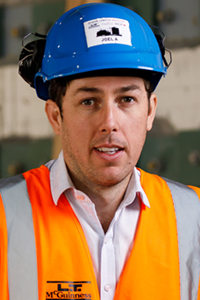 Chris has Diplomas in Construction Technology and Quantity Surveying. 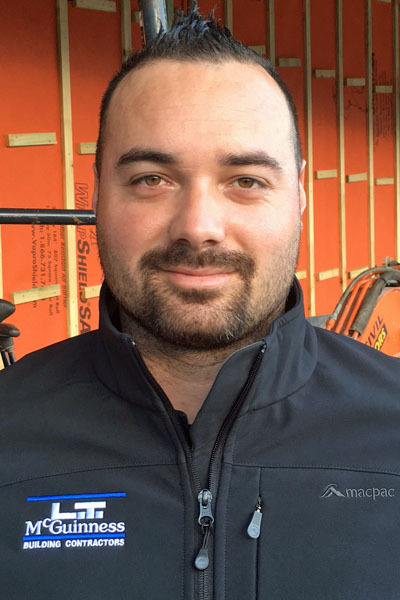 Since joining us, Chris has gained significant experience in project managing big, public and busy downtown construction jobs. These include seismic upgrades on The Terrace and the PWC Tower redevelopment. He was commercial project manager of David Jones on Lambton Quay, the giant retailer’s first store outside Australia. Chris is currently applying his talents on the Bowen Campus project. Dave has completed some of our most demanding high-quality fit-outs. He has a gift for grasping the key details of a project well before they are apparent from the plans. Dave’s apartment fit-outs include Clyde Quay Wharf, One Market Lane and Semple House. Commercial office fit-outs include NZX, the MSD project and the Te Auaha Centre in downtown Wellington. Well organised and motivated, David has created outstanding quality assurance plans to ensure top quality delivery. 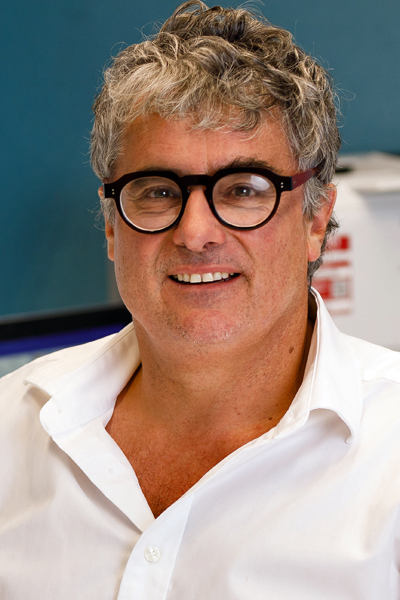 After his key role in the $25M refurbishment of Central Park Flats, David contract managed the $50M One Market Lane. He enjoys a challenge and in recent years has managed multiple refurbishments, seismic upgrades, retail builds and government fit outs. David builds up great relationships with clients and prides himself on ensuring they receive the best service. 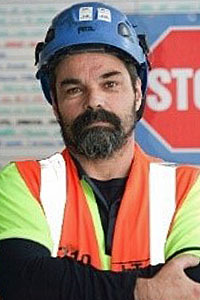 Dion started with us as a building apprentice 30 years ago. An outstanding site manager who leads from the front, Dion has technical expertise in all areas of construction and a thorough understanding of heritage buildings and structural strengthening. He played a key part in the Government House conservation project, Clyde Quay Wharf redevelopment and the David Jones project. Dion is now applying his expertise to the Bowen Campus project. 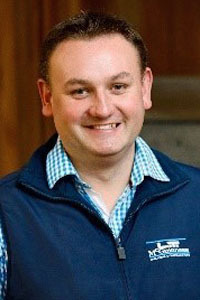 In a long stint in the hospitality industry, Finbarr developed excellent customer service skills which he has successfully transferred to managing key Wellington properties such as the NZX and Clyde Quay Wharf apartments. 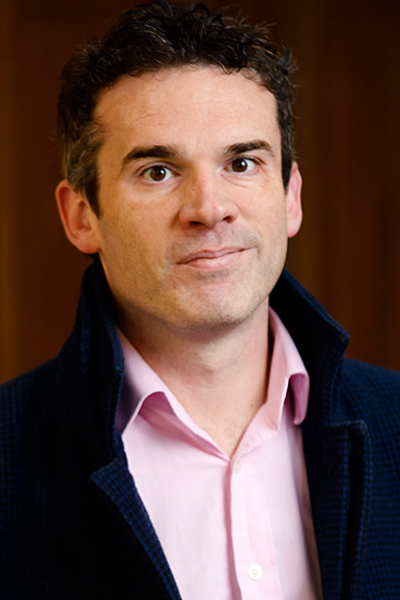 A BA in Political Science is another reason he can offer top personalised service to our property clients. Exotic locations such as the Viceroy Hotel in Dubai and the Pacifica Tiki Restaurant in Abu Dhabi, along with eight years in the United Arab Emirates, feature in Fue’s 22 years in construction. Now at the Bowen Street Campus, Fue has recently completed the roofs on levels 10 to 12. The holder of a National Certificate in Carpentry, Fue is a carpentry and finishing specialist. 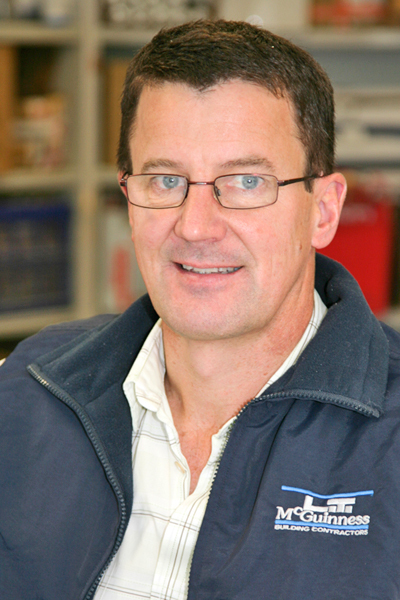 Gerry's thorough knowledge of construction is built on 30 years’ experience. 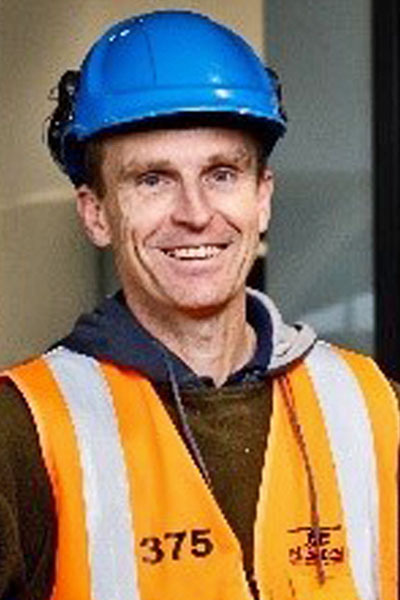 A qualified builder and structural expert, he’s applied his skills to major projects including Government House, the Wharewaka, Harbour City Centre, Clyde Quay Wharf, PWC Tower, Rutherford House and David Jones. Gerry’s structures work on the One Market Lane apartments was just one highlight, and he is now working on the PwC Centre. As one of our specialist interiors experts, Graham has played a big part in building the company’s reputation for the excellent quality of its finishing work. 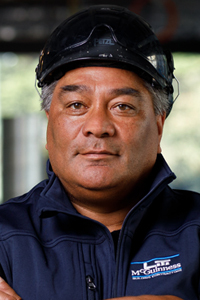 He was a leader in the interior finishing teams at Chews Lane and One Market Lane apartments. He has also applied his expertise to refurbishments of the NZX Building, 44 The Terrace (for the Tertiary Education Commission and Commerce Commission) and NZ Defence Force projects. 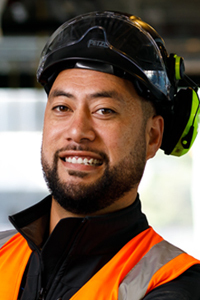 After starting his apprenticeship with us in 2007, Hoani holds a certificate in carpentry and has progressed to Site Manager. He has broad experience in all aspects of construction from structures to interiors. More recently, Hoani has worked on complex fit-outs such as Whitireia/WelTec where subcontractor management is paramount in meeting client expectations. 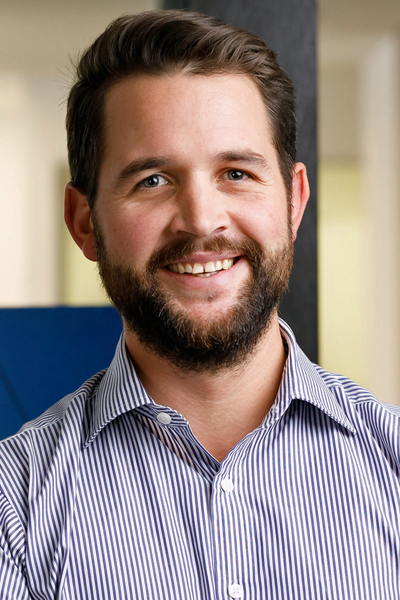 Jack has been involved in various central Wellington projects and was a lead quantity surveyor on the Rutherford House upgrade. 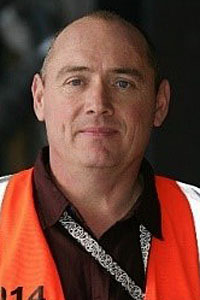 He is also involved with our Auckland projects. 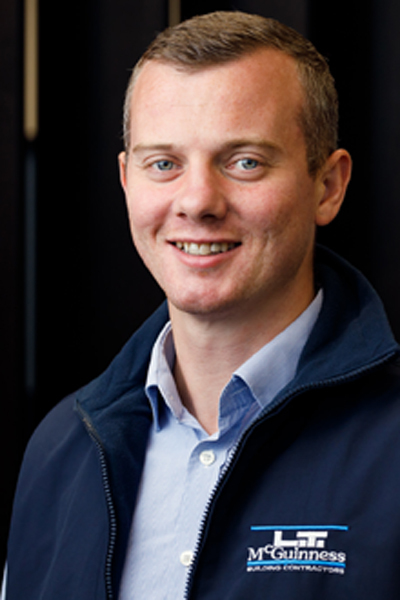 Jack holds a Diploma in Quantity Surveying and is a member of the NZ Institute of Quantity Surveyors. 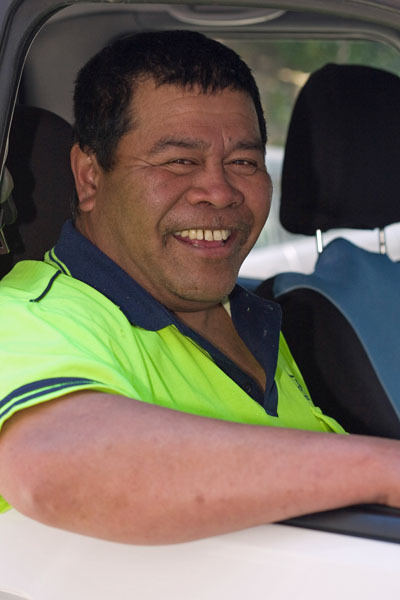 Jacob completed his carpentry apprenticeship while working for us at Government House. He’s since worked at the Harbour City Centre, Clyde Quay Wharf, Aurora Centre and the Exchange Project. He’s now on the Bowen Campus, displaying his talent for complex structural jobs such as the architectural shear walls. 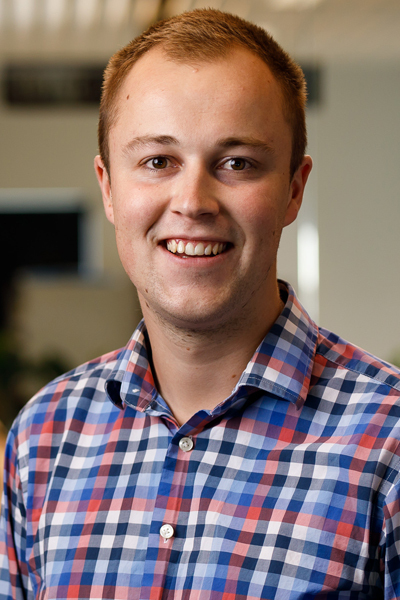 Jacob mixes a ‘can do’ attitude with Kiwi ingenuity and no matter what job he is on, he encourages a great work environment. 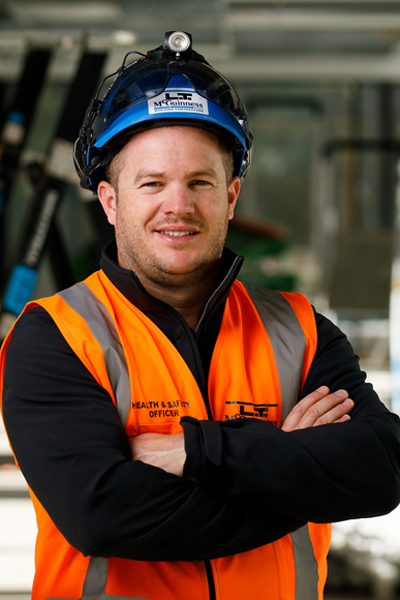 The holder of a Bachelor of Building Science degree, Jeff brings his organisational strengths and understanding of construction management systems to all projects he’s involved in. These have included the Victoria University of Wellington (VUW) Hub and VUW Rutherford House and the Huddart Parker refurbishment. 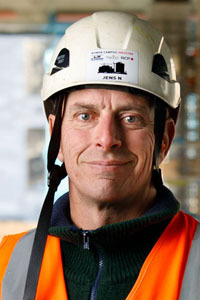 Jeff is currently project manager on the PwC Site 10 project. 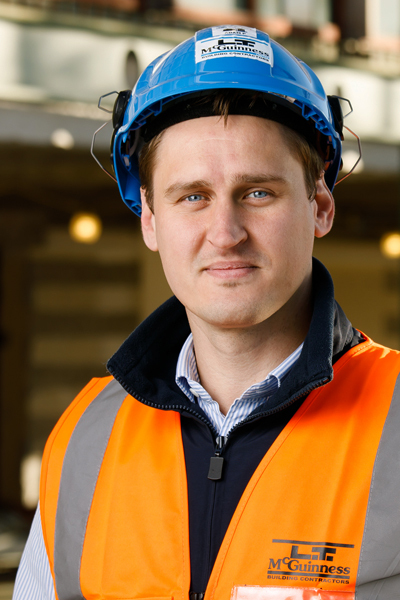 James brought skills gained over 14 years in UK construction when he joined us two years ago. 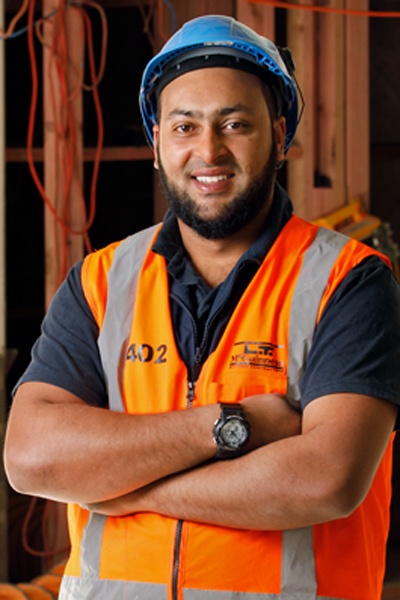 A qualified quantity surveyor, he now holds a NZ Certificate in Carpentry and a NZ Certificate in Construction Trades (Supervisor) 2018. 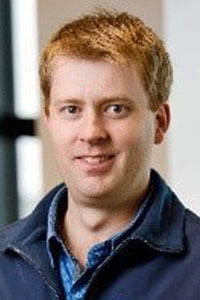 Based in Auckland, James has worked on projects including East 2, 30 Madden and more recently, Ethel Street and University of Auckland B110. 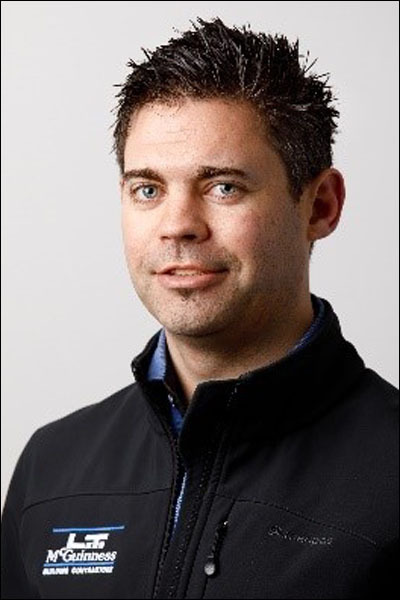 Jens holds NZQA Crane and Dogman Unit standards, along with mini-crawler crane qualifications. 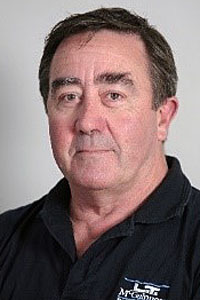 He has been an integral team member in projects such as Chews Lane, Clyde Quay Wharf and One Market Lane apartments, and the Aurora House redevelopment. Jens is known for his hard work, flexibility and being a team player. 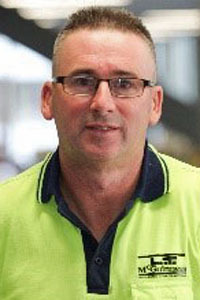 The holder of a National Certificate in Plumbing, Gas Fitting and Mechanical Services, Joe has a solid knowledge of commercial services. 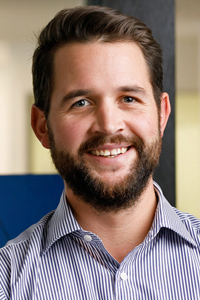 Before joining us, Joe worked for 10 years in the UK as a mechanical and electrical project manager on large projects including The Tate Modern Gallery, 21 Wapping Lane and Holland Green apartments. 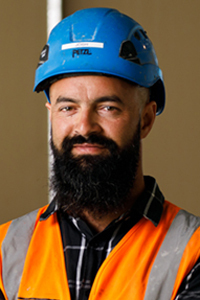 After working on the Aurora Centre in Wellington, Joe relocated to Auckland to be part of teams on the University of Auckland Thomas Building fit-out and the Wynyard Central apartments. 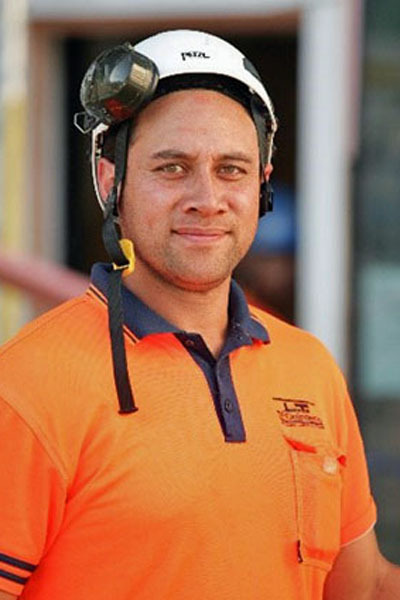 Joel holds a National Certificate in Carpentry and is now completing a BA and Masters in Construction Management while working on the Bowen Campus. 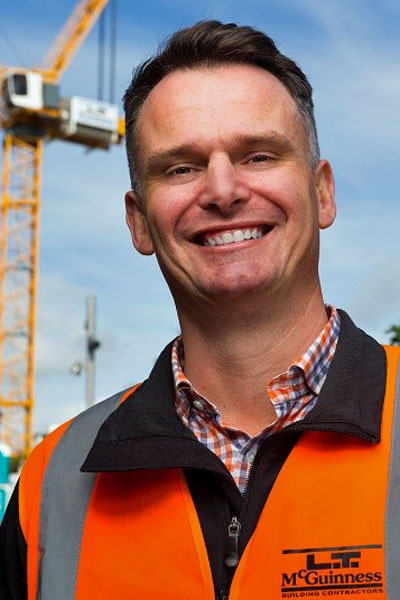 He has worked closely with public agencies in his 13 years in construction, on projects such as the NZ High Commission in Sydney and NZ embassies in Saudi Arabia and Ethiopia. He understands client requirements and the importance of delivering on time. 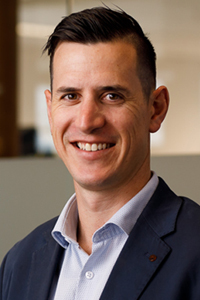 The holder of a Bachelor of Accountancy from Massey University, Jono is a chartered accountant with over 10 years’ financial services experience. 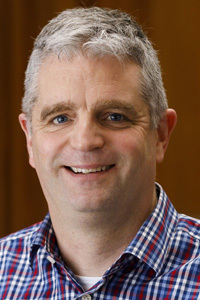 He has worked on large-scale financial audits in New Zealand and Australia. 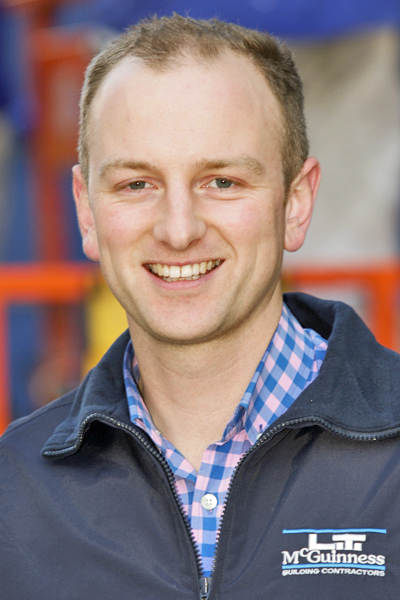 Jono is extremely thorough and leads our finance team as well as supporting management on key projects. Eighteen years in the industry have given Josh exceptional problem solving skills and extensive knowledge of construction. A qualified carpenter, he has a respectful but firm style and always leads by example. His three years with LT McGuinness include major projects such as Rutherford House, David Jones and PwC Site 10. 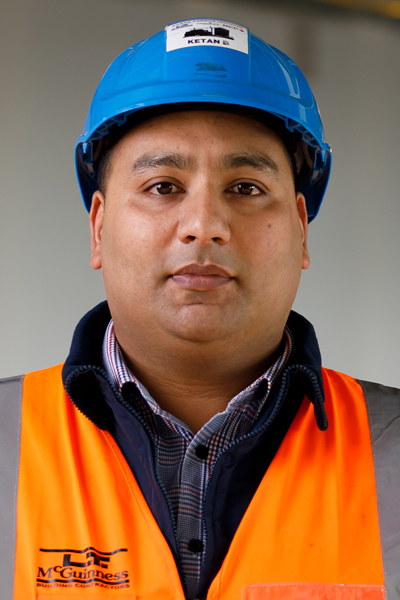 Ketan has a highly well-organised approach to managing and coordinating the installation of all on-site services. At One Market Lane, his focus was on delivery of the apartments’ services. 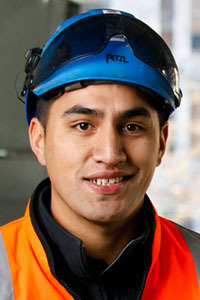 At 157 Lambton Quay, Ketan spent two years on challenging seismic works, all on night shifts because the building was occupied during the day. He is now at the Bowen campus. 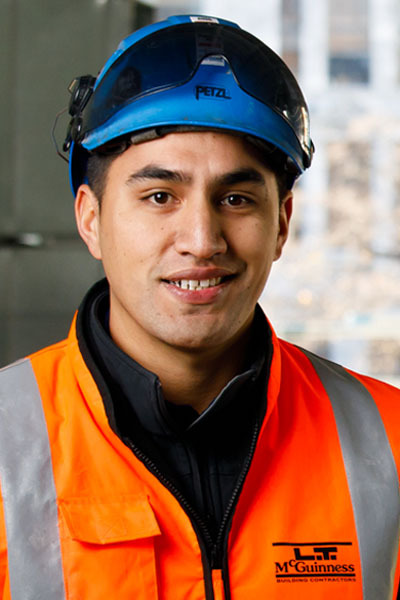 Louis heads the team that supports our clients around Wellington through a building maintenance and small works’ service that we offer once a job is completed. 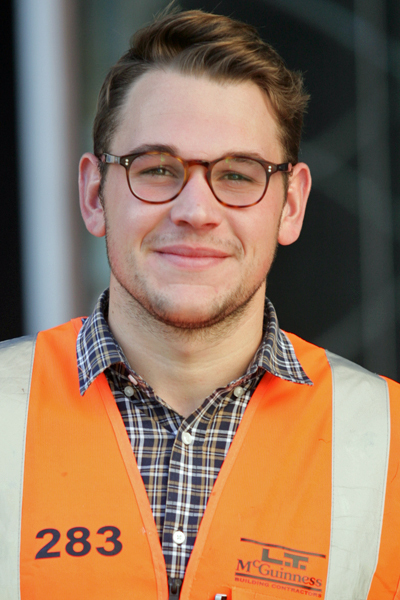 Louis is highly organised and in any one week will liaise with clients across up to 20 projects. 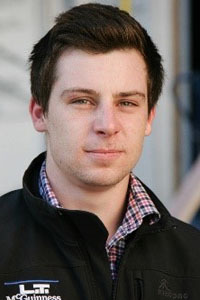 Luke has a Bachelor of Building Science from Victoria University’s School of Architecture and Design. 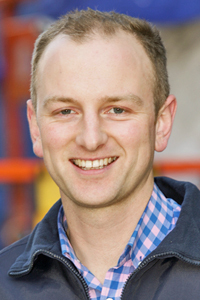 Before joining us, Luke gained experience with a Certification Body involved in testing and certifying building products. 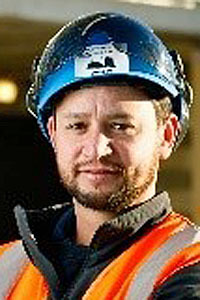 He has shown a hardworking and quick-to-pick-up aptitude at the St Mary of the Angels and Site 10 projects. 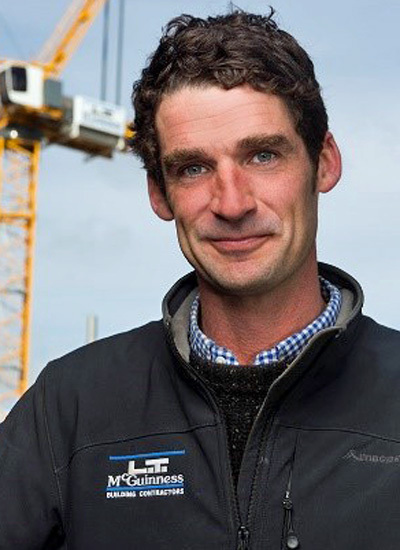 Luke joined our Auckland staff two years ago with 25 years of construction experience in Europe, Australia and New Zealand behind him. A qualified carpenter, he is an interior fit out specialist who prides himself on great communication and advanced planning. These skills were evident on his work at East 2 Apartments, Little Creatures Brew House and most recently, The Hangar at Catalina Bay. 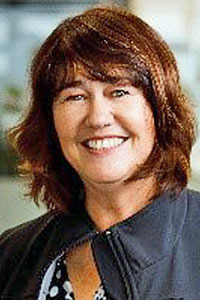 Marianne studied human resources and fulfils a number of roles at LTM. These include recruitment, strategies relating to performance review and staff well-being, and assisting management with business services. 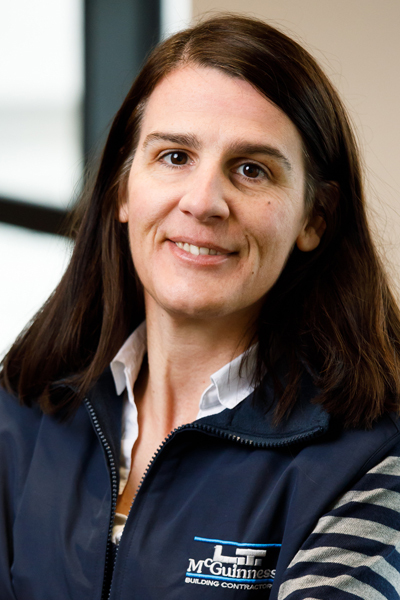 Marianne enjoys the variety of work, the challenges and the fast pace. A favourite aspect is having the personal touch with everyone. Marianne previously spent many years with a legal firm in a variety of business services roles. 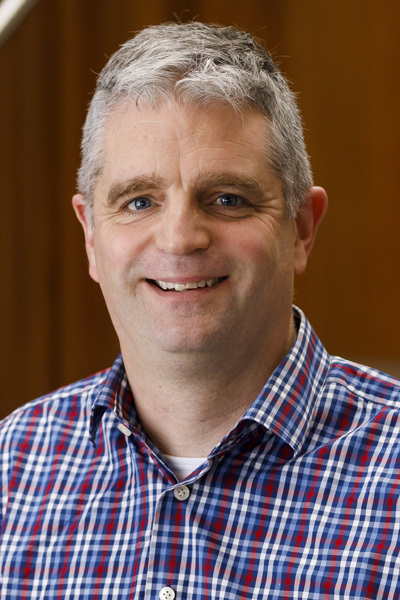 Mark brought 20 years’ experience in Ireland’s construction industry when he joined us in 2014. 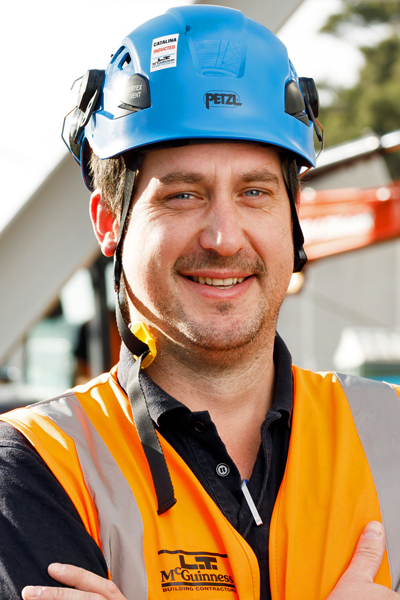 Now part of our commercial team, Mark is passionate about construction in New Zealand. He has been involved in the Parliament restoration works and St Mary of the Angels’ project. He is currently overseeing the PwC Site 10 project in his role as quantity surveyor. Mark leads the company’s Facilities + Maintenance division which provides property owners with expert management and maintenance services. He has extensive overseas and local experience in the field and has developed strong networks in the Wellington property market. Mark’s approach is built on a personalised service for building owners and tenants. 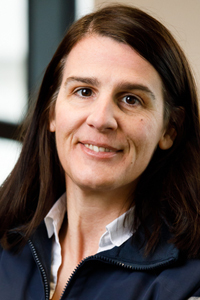 Marta has a masters degree in civil engineering and qualifications in occupational hygiene and safety at work. She has worked in the industry for 11 years including in her home country of Portugal and in Mozambique where she helped to implement health and safety procedures. 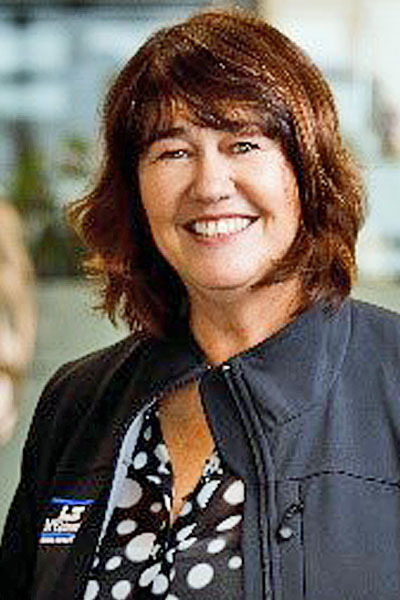 Marta works directly with the H&S Manager across all our projects. She is proactive, results-focused and well versed at working across diverse cultures. Matt has a National Diploma in Construction. 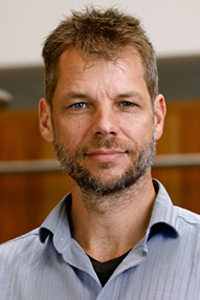 In 2014 he relocated with his family to Auckland to manage our projects there. 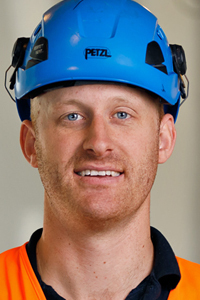 Matt has a strong talent for construction management and a great understanding of construction systems. 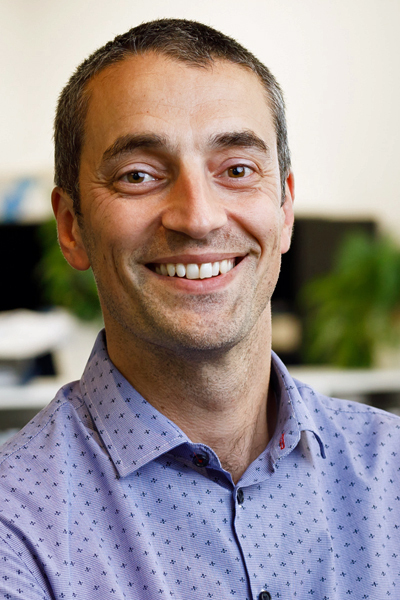 Before departing for Auckland, Matt was construction project manager for One Market Lane, which included the distinctive Trade Me head office fit-out. 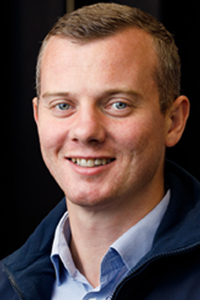 In 2015, Matt won the NZIOB Supreme Student Award. 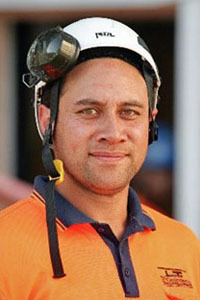 He holds a Bachelor of Construction degree and a National Certificate in Carpentry. Matt is adept at building an excellent rapport with staff, sub-contractors and clients, a skill he has applied to the St Mary of the Angels’ re-strengthening and the Clyde Quay Wharf apartments. Matt now takes a keen interest in developing our apprentices. 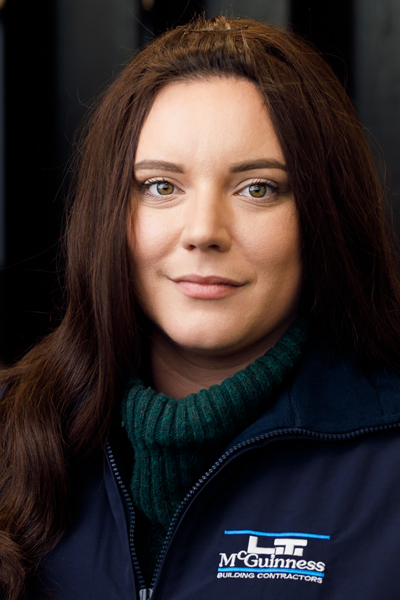 The holder of a BA and BSc degree, Melissa has worked in the construction industry for six years. Before that she was in health and safety with a civil engineering contractor, working on extensive watermain and roading upgrades. 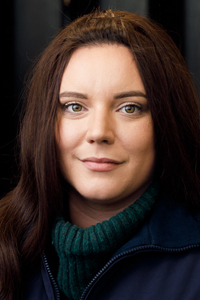 Melissa is now a member of our Health and Safety team on the Wynyard East, Catalina Bay and University of Auckland projects. She has a thorough overall site safety and compliance understanding and brings great organisational and people skills to the role. 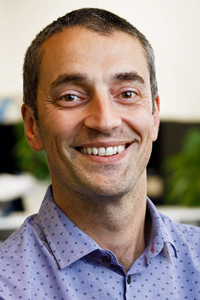 Michael is an extremely talented architect who provides critical architectural support across the company. 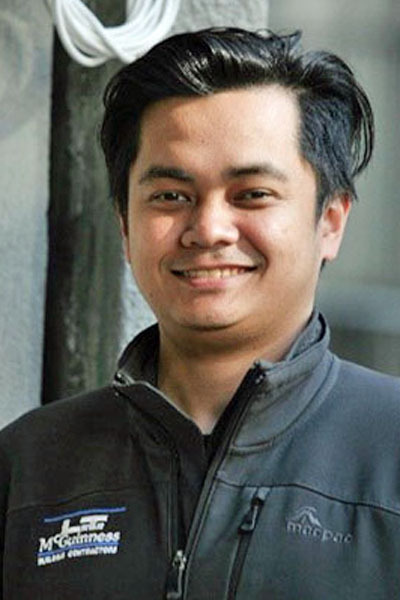 The holder of a Bachelor of Architecture degree, Michael manages Revit, our architectural software, and our in-house point-cloud scan management, 4D programming, architectural quality assurance, shop drawing support and BIM support. 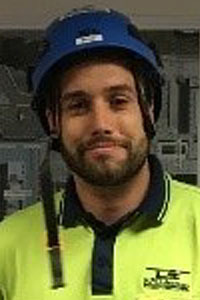 Mitch holds a National Certificate in Carpentry and joined us with a residential building background. He has since developed into an all-round carpenter with skills in fit-outs, structural concrete and formworks. Mitch’s projects have included retailers David Jones and TopShop and he is currently at the Bowen Campus. Mitch is well liked and respected by everyone he deals with. 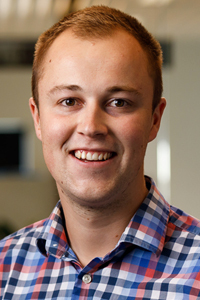 Morgan has a Bachelor of Construction majoring in Quantity Surveying, and is a member of NZIQS. 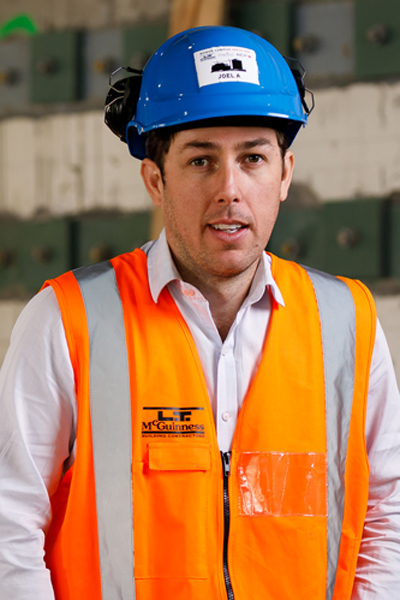 Morgan has over five years’ experience in the industry and joined us to work on the Wynyard East development. Morgan brings an open and engaging enthusiasm to his role. 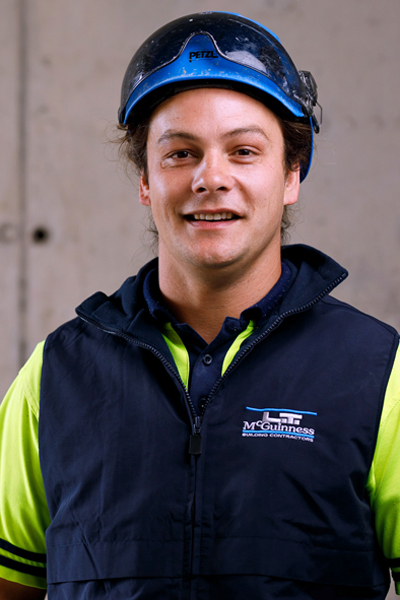 A qualified carpenter, Nick has a Diploma in Quantity Surveying and is a NZIQS member. He was a quantity surveyor on the highly successful Aurora Centre project and is now at the Bowen Campus. 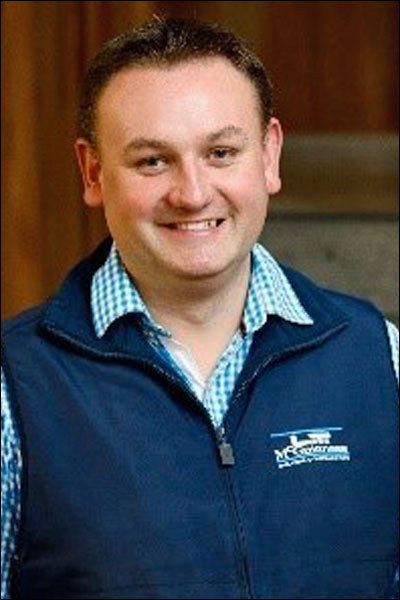 Nick has an extensive background in Wellington construction, proven leadership strengths and an ability to handle multiple responsibilities in a fast-paced environment. 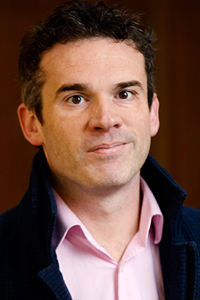 Nick’s natural humour makes him one of the company’s characters. 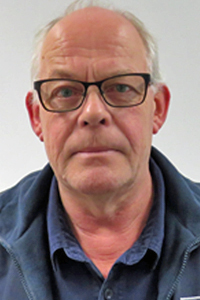 He has extensive experience in structural construction, especially concrete, and is a master of cranage in Wellington’s winds. He recently completed two major jobs, at Aurora House on the Terrace and the re-strengthening of St Mary of the Angels. Nick is now at the Bowen campus. 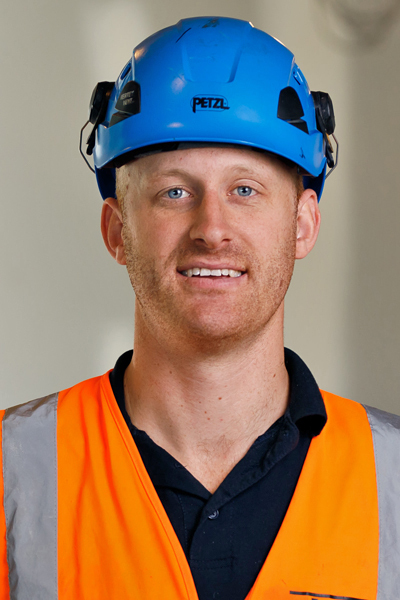 Born and bred in Hawkes Bay, Peter is a qualified carpenter. He has been with us for seven years, six of those in Wellington where he worked on Central Park Flats, Clyde Quay Wharf, One Market Lane and Victoria University. 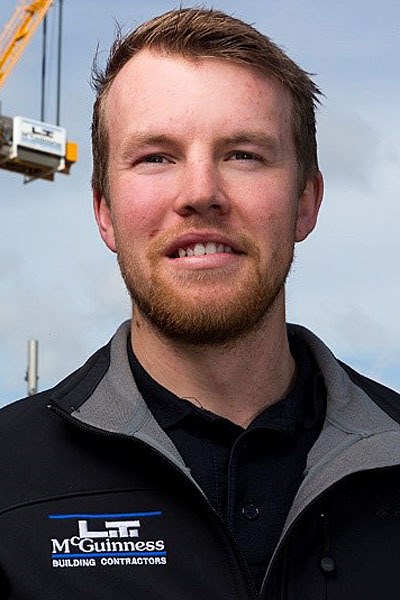 Peter moved up to Auckland in 2016 and is now based at Catalina Bay, Hobsonville. 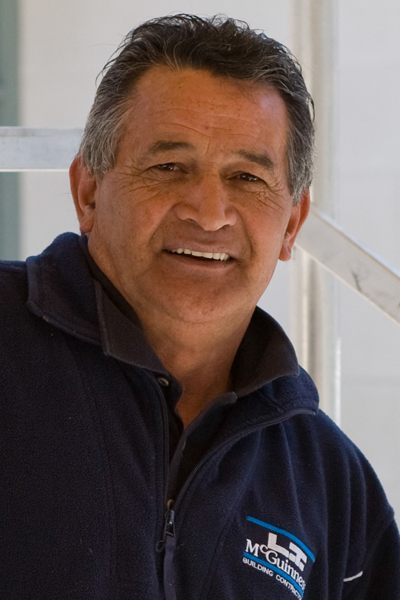 A qualified carpenter, Richard has been in building for 30 years. Since joining LTM he has been involved in stages 1 to 4 of the Home of Compassion re-strengthening and renovation project. Richard has the ability to build strong relationships with clients, subcontractors and colleagues, and is adept at coordination and strategic planning. Rob responds quickly to requests and queries to the Wingate Yard in the Hutt Valley where the company’s plant and machinery are held. He helped set up the Yard which doubled in size in May 2016. Four staff now work there and Rob goes out of his way to get site managers the equipment they need. He manages allocation of equipment, maintains stock control systems and keeps plant and equipment fully certified and compliant. ‘RJ’ is a qualified mechanical engineer who managed all the services for the David Jones project from ECI through to commissioning. 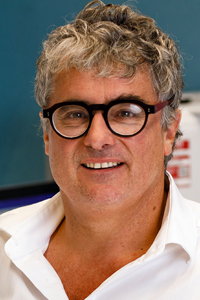 He’s also involved with managing the services for the Cuba Dixon and PwC Site 10 projects. 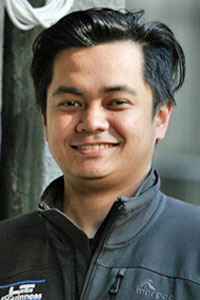 RJ is from the Philippines where he worked as a services coordinator on various commercial projects. RJ is a key member of our team and valued for his eager attitude. 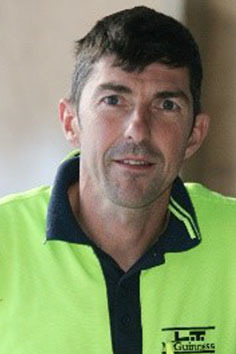 A qualified carpenter, Ronan also holds a Bachelor of Construction degree. 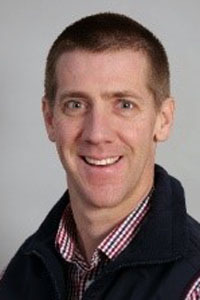 His 15 years’ industry experience includes six years in Ireland. 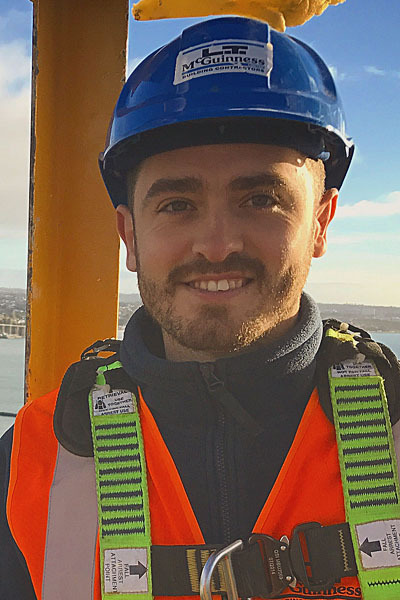 Ronan is applying his combination of carpentry and quantity surveying skills, along with excellent planning and organisation abilities, to the Catalina Bay and Hobsonville Point projects. 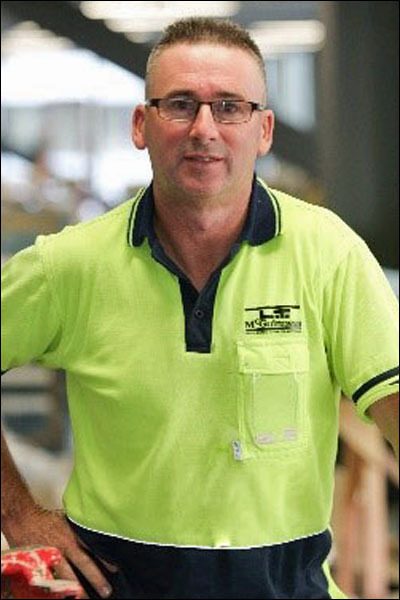 Russell hails from Perth where he was a carpenter and gained an Australian Builders’ Registration Diploma. As a senior building estimator for a major construction company, he oversaw successful tender bids for numerous multi-million-dollar contracts. 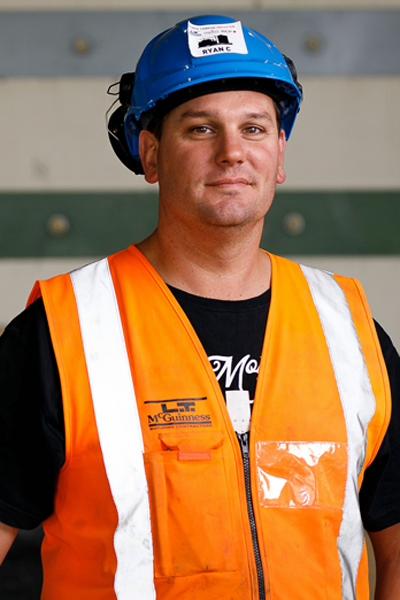 Since arriving in New Zealand in 2013, Russell has gained a National Certificate in Carpentry. Attention to detail and tenacity are the hallmarks of his ECI and Bowen Campus work. Ryan’s 18 years in construction range from residential homes to large scale commercial buildings, and from seismic upgrades to commercial fitouts and refurbishments. He has a National Certificate in Carpentry, an eye for detail and thrives on a challenge. 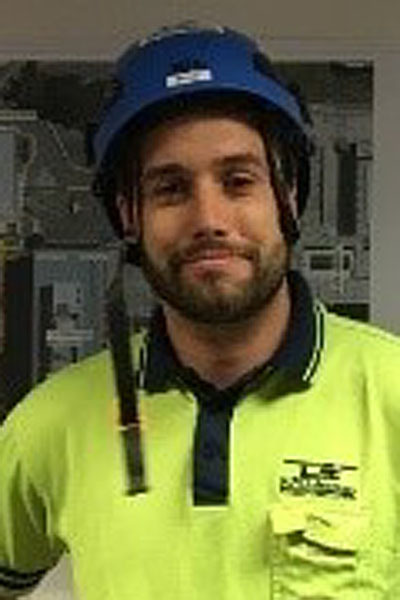 Ryan, who is now on the Bowen Campus, enjoys the teamwork of a job and takes particular satisfaction in seeing a project successfully completed. 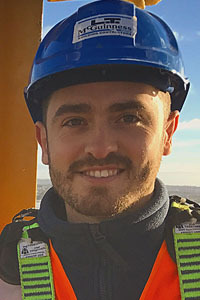 After starting with us as a cadet quantity surveyor at the Clyde Quay Wharf, Sam has more recently been involved in fit-outs and strengthening work downtown and at Victoria University. 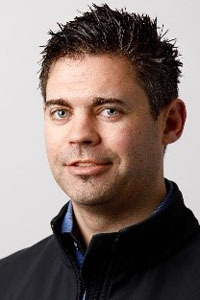 Sam has solid IT skills and is a ‘go to’ person for his all-round technical know-how. 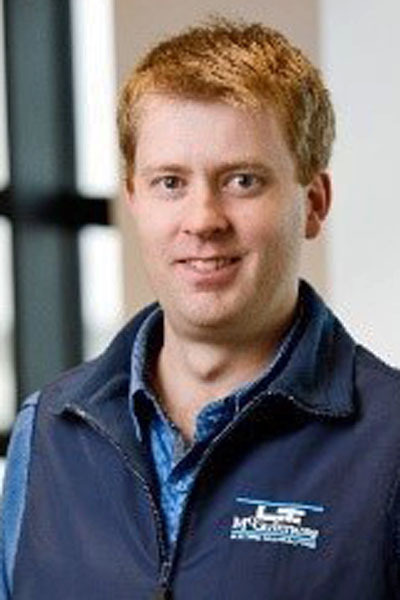 He is a member of the NZ Institute of Quantity Surveyors and holds a Diploma in Quantity Surveying. 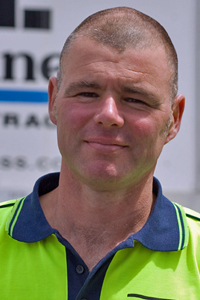 Seamus holds a Certificate in Site Management and advanced scaffolding qualifications. 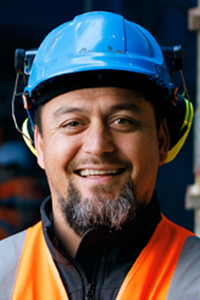 He is bringing his time management and great people relationship skills, along with a drive to successfully deliver projects, to the Wynyard Quarter and Catalina Bay. 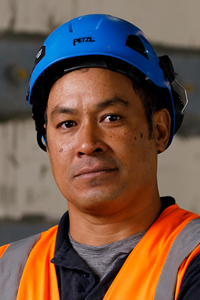 Sione, a qualified carpenter, brings a positive approach to the variety of projects he has worked on. These range from the largest of jobs such as the Government House refurbishment and Clyde Quay Wharf, to the Ministry of Primary Industries’ carparks. 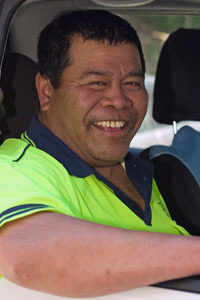 More recently Sione has been working on the Bowen Campus project. 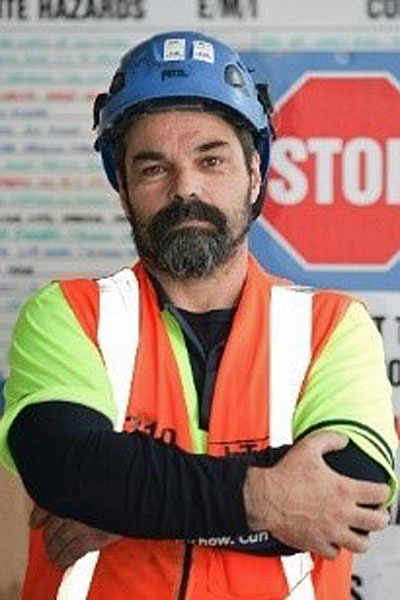 Steve’s enthusiastic approach to health and safety, fire safety and security in construction rubs off on those around him. 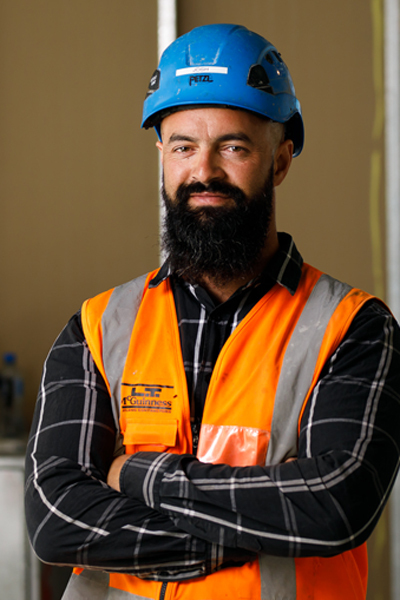 Prior to joining the construction industry, Steve was in the army so he applies military-like precision to getting a job done to high standards. 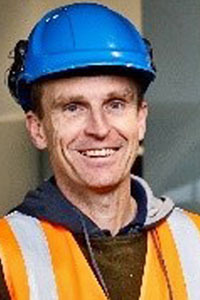 Steve has had a key health and safety role in many of our projects including Government House, Chews Lane, Clyde Quay Wharf, the Aurora Centre and now Bowen Campus. 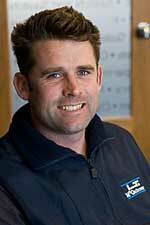 One of our most experienced site managers, Steve is an expert in all areas of carpentry, especially façades. 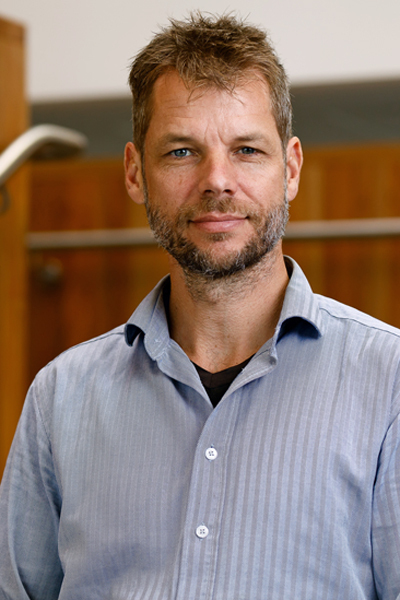 He has applied that expertise across projects including the One Market Lane apartments, the re-strengthening and fit-out of Victoria University’s Faculty of Design and Architecture, and the Te Auaha Centre. 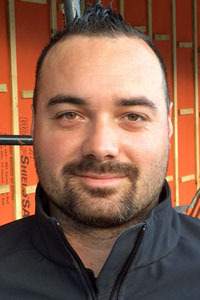 He is currently façade manager on the Bowen Campus development. 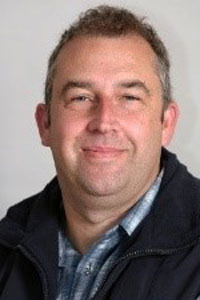 Steve has a calm, steady nature and is well regarded by clients and consultants. 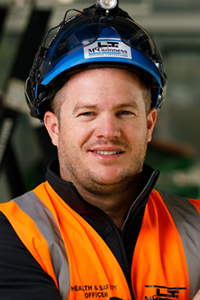 Steven’s seven years in the construction industry include work on the Crown Towers Hotel and Stadium in Perth. 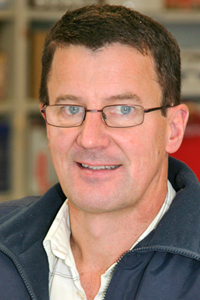 He holds an honours degree in Building Science project management and a Diploma in Construction and Property. 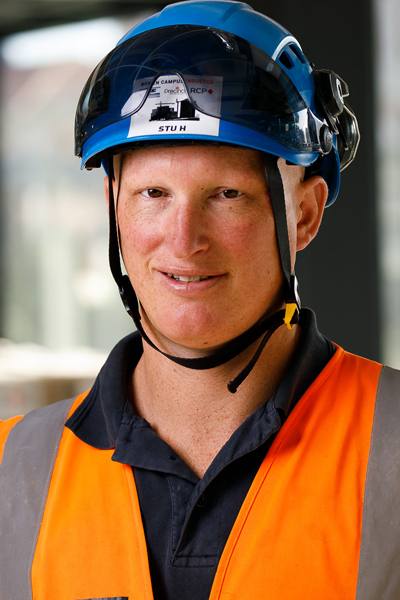 Steven brings a strong fellow-worker approach and positive attitude to his work on the Wynyard East project along with a drive to achieve maximum potential. Stu has a wealth of expertise in exteriors and facades. He has a degree in building science and is known for his calm and level-headed approach to construction challenges. Stu joined us as Facade Manager for the One Market Lane and Aurora Centre projects. 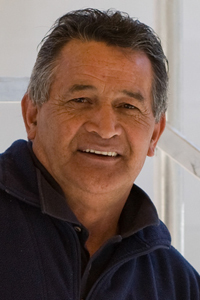 He managed the rebuild at Our Lady of Kapiti School and is now at the Bowen campus. This exuberant Irishman is a popular site manager with great people skills who has worked on many of the capital’s leading buildings. It’s probably no coincidence that Tony spent five years at Parliament, albeit in construction, where his ongoing restoration work has included the parliamentary buildings and the Beehive's copper roof. He has also managed fit-out and re-strengthening work at Victoria University’s Faculty of Architecture and Design. 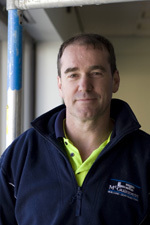 Tony has a National Certificate in Carpentry and over 15 years’ industry experience. 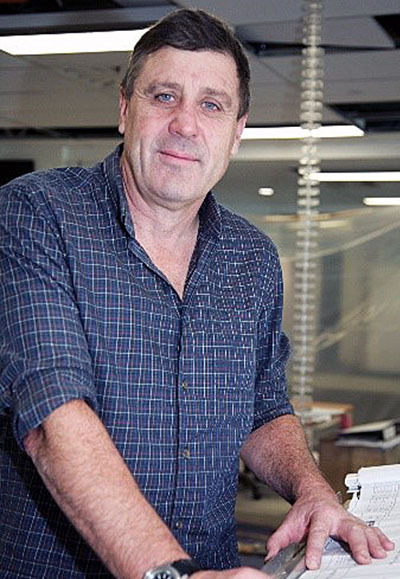 He has played a key role in projects including the Victoria University development, One Market Lane apartments, Moore Wilsons, the Cuba Dixon redevelopment and more recently the Prefab refurbishment project. 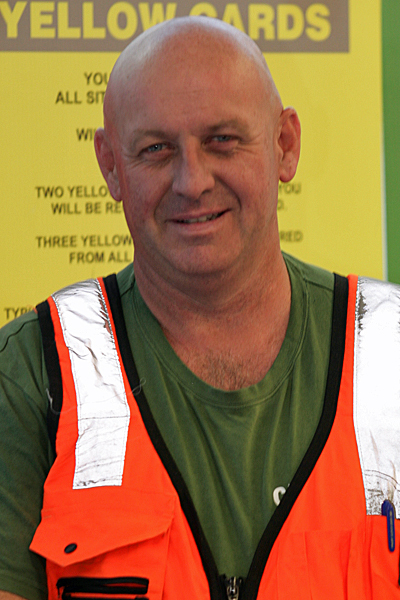 Wade, an integral member of the site management team, is studying towards a Diploma of Construction Management. He has played a key role in projects such as Cuba Dixon, where he was site project manager as the historical façade was removed then reinstated. Other highlights include Taranaki Wharf Landscape, the Wharewaka, the Harbour City Centre and the Clyde Quay Wharf where LTM won the Supreme Builders Award.